Once again, Canadian EDM champs Zeds Dead are leading the way for 2018's Deadbeats Tour. 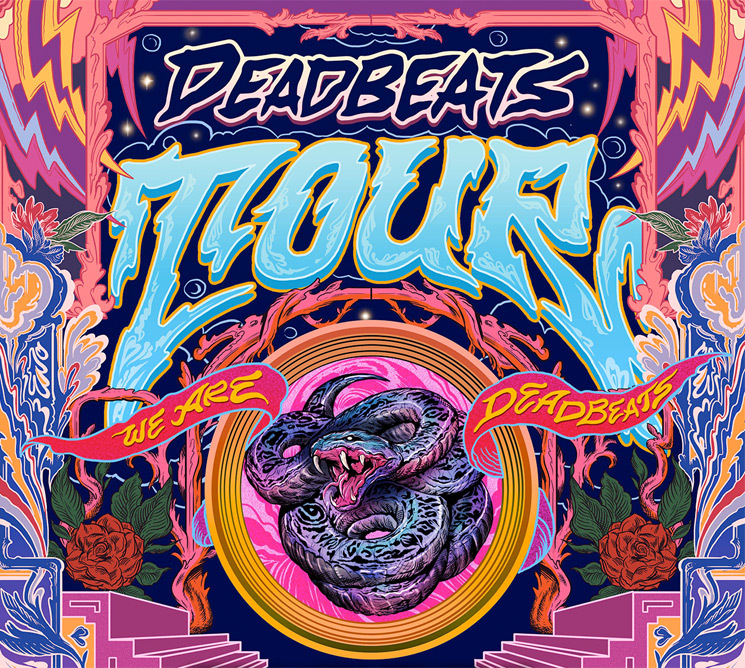 The duo has unveiled the full tour schedule for this year's travelling label showcase, which will feature Zeds Dead and an array of other Deadbeats artists and friends. As you'll see below, it includes various Canadian stops. "This year's Deadbeats Tour will be the craziest most ambitious yet, with bigger venues, production, sound and lineups," Zeds Dead said in a statement [via Billboard]. "Expect psychedelic oddities, technological nostalgia, warehouse vibes and a place where everyone is welcome. We can't wait to bring you into the deadbeats universe with us. Its going to be a trip." You can learn more about the 2018 Deadbeats Tour, including lineup specifics, over here. Hear Zeds Dead, Pusha T and Weezer's Rivers Cuomo Join Forces for "Too Young"